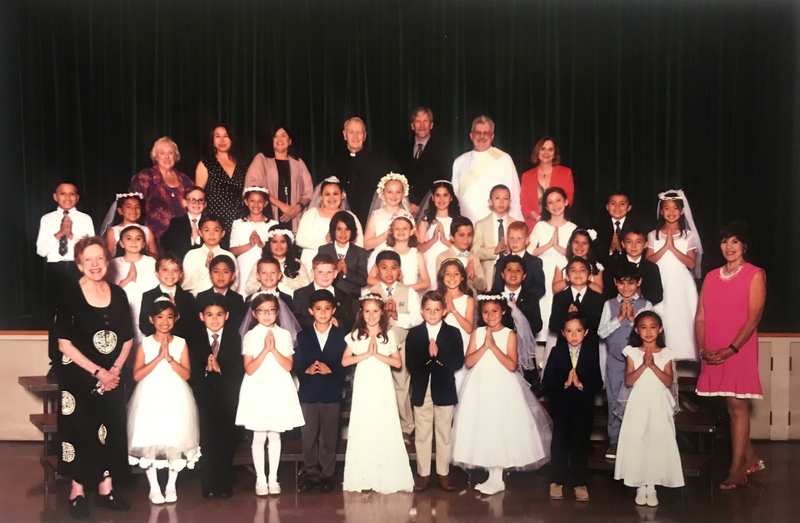 Congratulations to the RE First Communicants of 2018! 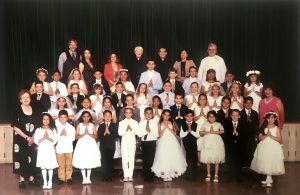 Religious Education First Eucharist 9:15am & 12pm Communicants on May 5, 2018. Many thanks to the Families, Catechists, HF Staff and all those that participated in their Faith journey. Returning Families: Registration forms were sent home with your eldest child. Registration is on-going through September as long as space is available. Contact Megan at mcolburn@holyfamily.org if you are in need of a new Registration Packet. New Families: Registration Forms 2018-2019 are now available here on the website. You can also pick up a hard-copy in the RE Office. 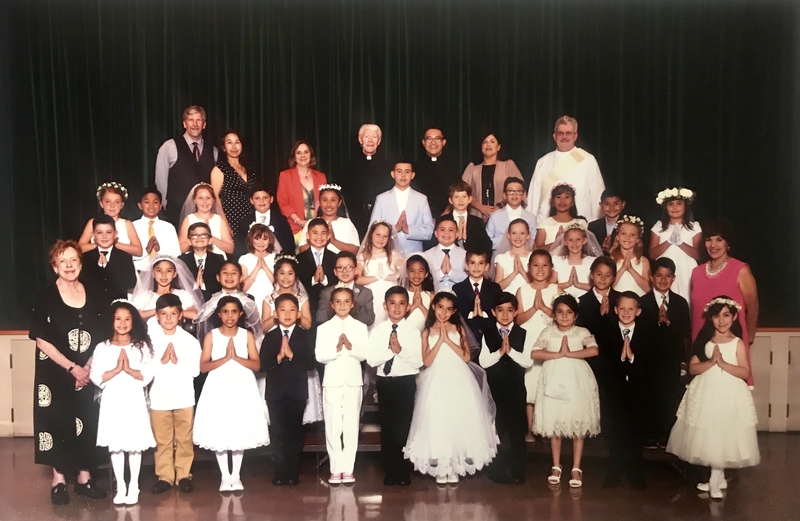 For additional info please contact: Megan at mcolburn@holyfamily.org or feel free to call us at 626-403-6118.